Lebanon. 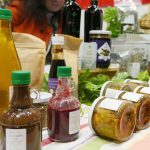 Assistance for Syrian refugees » Fundacja Polskie Centrum Pomocy Międzynarodowej - Polska organizacja humanitara, pomaga wszystkim bez względu na pochodzenie, kolor skóry czy wyznanie, dbając o to, aby jej działania nie pogłębiały lokalnych napięć. Six-year civil war in Syria has forced over 5 million people to flee from their country. Majority of Syrians escaped to Turkey, Jordan and Lebanon. Since 2012, PCPM has assisted poorest refugee households and host communities in northern Lebanon, in the area immediately adjacent to the Syrian border. 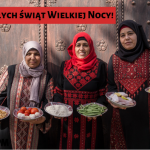 Thanks to the funding of Polish Aid, the donor arm of Polish Ministry of Foreign Affairs, PCPM has secured shelter for over 35,000 Syrian refugee families through conditional cash assistance to cover part of the rental fees for apartments or garages. 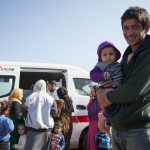 In addition to shelter, PCPM aims at providing Syrian refugees with comprehensive assistance that includes access to health care and education, as well as lifesaving assistance during the winter season. A primary health care center, located 4km from Syrian border, coupled with a mobile clinic, caters for over 10,000 patients annually. 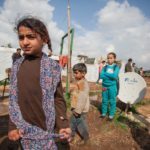 During the winter season of 2017-18, PCPM is one of four aid agencies in Lebanon that provides Syrian refugees with cash assistance for purchase of heating oil, stoves and blankets. PCPM utilizes its development aid experience in bridging humanitarian-development gap in Lebanon. In 2017, over 120 Syrian refugees were gainfully employed in public works, overseen by municipalities of Lebanon’s Akkar province. Furthermore, Syrian refugees contribute the work to the archeological mission of the University of Warsaw that excavates, among others, 12th century castle at Lebanon-Syria border.